The road ahead, edged with farm houses, barns and lush green fields lazily grazed upon by grass-munching dairy cattle, plunged straight downhill towards a slightly banked, long in length – and flat-out if you like – right-handed corner. Nodding his head in a manner indicating his respect for the F1 racers of yesteryear, my Spanish chauffeur and I cruised gently into the turn known as Burnenville and made our way to the photographic shoot location. Now if, like me, you grew up slightly obsessed (in a wholly healthy way of course!) with everything to do with the past, the current and even the future of all things Formula 1, you may be a little disappointed with what you’ve just read. When I heard it, I know I was. You’d think, wouldn’t you, that the guys we watch on 19 weekends a year, braving it out in wheel-to-wheel grand prix races, would know a thing or two about what went before. Sadly – in most cases – you’d be wrong. Over the past 25 years of working with top-level F1 drivers, experience has taught me most know little about those who made our sport great. It’s a shame, but I guess when you’re living the childhood dream of racing karts, winning trophies, finding budgets, climbing the motorsport ladder, being feted at every turn, praise lavished on one by all, the tedious task of bothering to read about the guys who toiled in the past is just that. Tedious. Sure most current drivers will wax lyrical about how they idolised their heroes at an early age, but most will struggle to get beyond the ‘I adored Senna’, ‘I respected Prost’ or ‘I admired Michael Schumacher’ oft-repeated soundbites. In three weeks time the F1 circus will arrive at one of the truly great circuits, Spa-Francorchamps. Nestling in the hills, valleys and forests of the Ardennes countryside this classic track – even in its current form, truncated from the original 14-plus kilometre course – is becoming something of a throwback to an era so removed from where we are now as to be almost completely unimaginable. The fact that a top-level F1 driver, respected as possibly the best of the current crop, knows little of its past is testament to that. Of course we live in a different world to the one Nuvolari, Ascari, Fangio, Farina, Collins, Clark and McLaren enjoyed. All winners at what was, for a significant time, the fastest open-road circuit in the world. Fast-forward to now and what do you think that gang of greats would make of the circuits their modern-day counterparts race upon now? Of course I’m not bemoaning the likes of the contemporary F1 tracks in Malaysia, Bahrain, China, Spain, Russia, USA or Abu Dhabi. Why would I? Every circuit that Bernie’s travelling circus visits – be it good or bad – is a photographic challenge and one to which I hope I rise. But, when one stands at Eau Rouge with the towering Raidillon corner cliff face soaring above, one cannot help but desire for more challenging courses than the new ones we’ve experienced recently. Please don’t misunderstand me, I don’t mean to criticise the man who has the seemingly exclusive brief to design and build modern day F1 courses, German architect Hermann Tilke. Hermann is an affable guy who tries hard and – mostly – does a good job. Remember just what a fantastic circuit the sadly now unused (by Formula 1) Istanbul Park is. 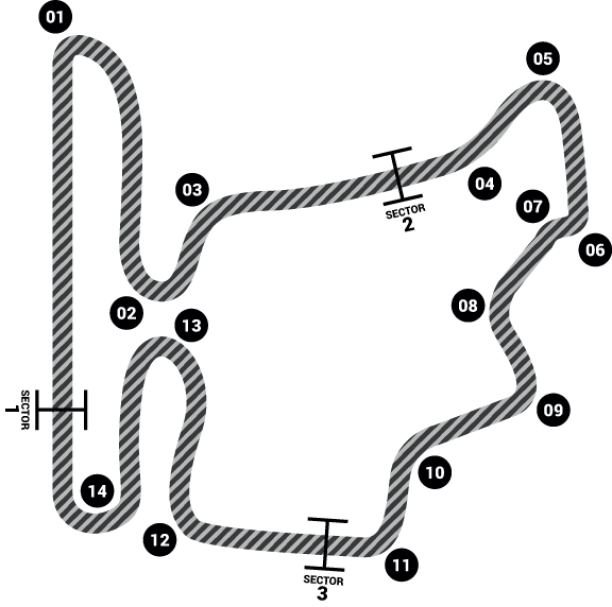 Fast straights, challenging high-speed corners, plunging gradient changes, tight hairpins, this track – save for a crowd, of course – has it all. One can, and many do, slate most of our sport’s current venues but Tilke has to work within the parameters that all architects are presented with. Much as you and I – and, I know, Herr Tilke – would like to see a brand new ‘classic’ track with the majesty of Spa built today, can you imagine how hard the plans would be laughed out of the bureaucrats’ office should one present a proposal for a grand prix facility in, let’s say, the Lake District? Overly subsidised, wasteful, bird-and-bat-population denuding, heinously ugly wind turbines, yes. A state-of-the-art F1 race track… Certainly not! Of course there’s always an upside to every down. With all this circuit modernity, those of us that love the sport have developed an increased sense of affection for the classic circuits. Trips to tracks such as those at Montreal, Monza, Suzuka and Sao Paulo now seem extra special for everyone involved within the sport, and, I’m sure, for those watching from afar. We absolutely must continue to stage grands prix on these special tracks, if for no other reason than to retain a link to the wonderful history that our sport is so fortunate to enjoy. Who knows? One day Spa maybe deemed too dangerous for the racers of the future to compete upon, with the photographers of decades to come educating F1 stars as to what went before. Please now take a few minutes to enjoy my pictures from the 2014 Hungarian Grand Prix by clicking here.